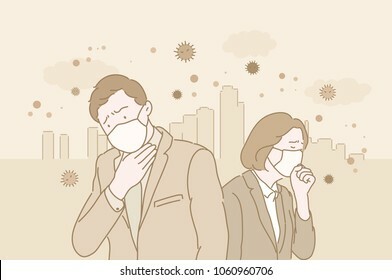 18144 place | Vector illustration in rank M-rank: People in masks because of fine dust. hand drawn style vector doodle design illustrations. People in masks because of fine dust. hand drawn style vector doodle design illustrations.